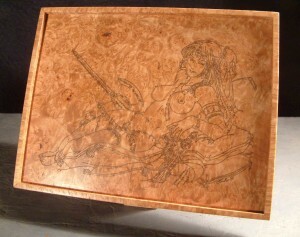 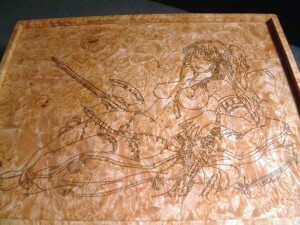 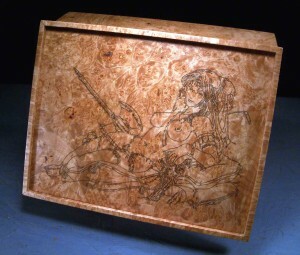 Laser engraving has enhanced this box with a beautiful reclining princess. 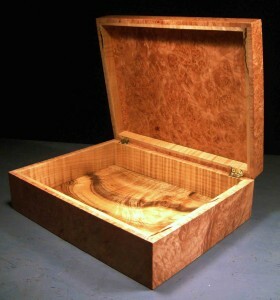 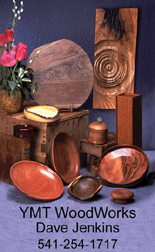 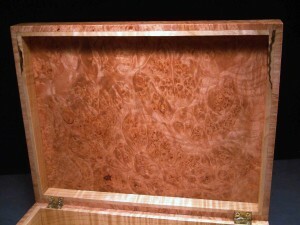 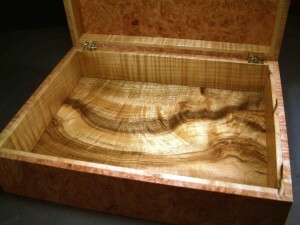 Maple burl and highly figured myrtle combine to dazzle the eyes with their grain patterns. 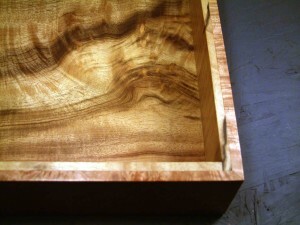 11 3/4 x 8 3/4 x 3 1/2 inches. 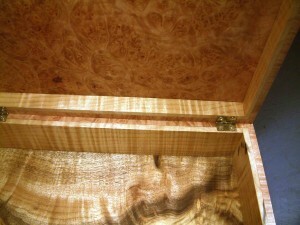 This box is $225 US plus $30 shipping and handling. 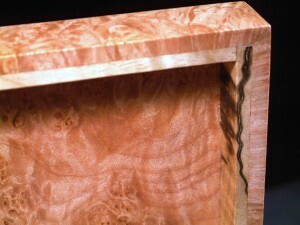 ← Quilted Maple Desk Caddy SOLD !